This is a new style for me and it was fun to make. Front sentiment: Birthday wishes just for you. When I saw that My Creative Time had a birthday challenge by Miss Cindy, I wanted to try something different. I went for a CAS (clean and simple) style with paper piecing and the perfect mix of stamps. Also, Ranger archival ink in watering can, rose madder and potting soil, ribbon, paper by BasicGrey and K&Company. Thank you for visiting. I hope you will leave a comment and follow my blog while you are here. Good Monday to you. Today we have a winner of the extra stamp set "3 Boo's" that I have to give away. Thank you to all of the kind comments and entries. But only one can win. Via Random.org, the "3 Boo's" stamp and sentiment goes to #18. Karen, please email me. Congratulations. I do have another Unity stamp set still open for a giveaway on another post. That one is for the "You Witch" hat and sentiment Itty Bitty. I think this hat is for a good witch. It's all decorated in purple and dolled up with embellished details. The sentiments make it funny. Front sentiment: You say witch like it's a bad thing. Inside sentiment: Stir it up. This is another one of my Halloween projects. 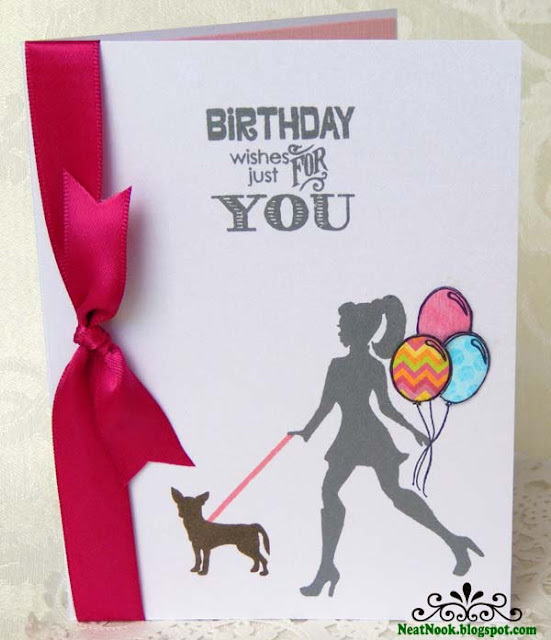 It is a watercolor design with heat embossing and distress markers. I am including this in Unity Stamp Company's September/October 2013 color challenge 8 and with their Friends With Flair projects. 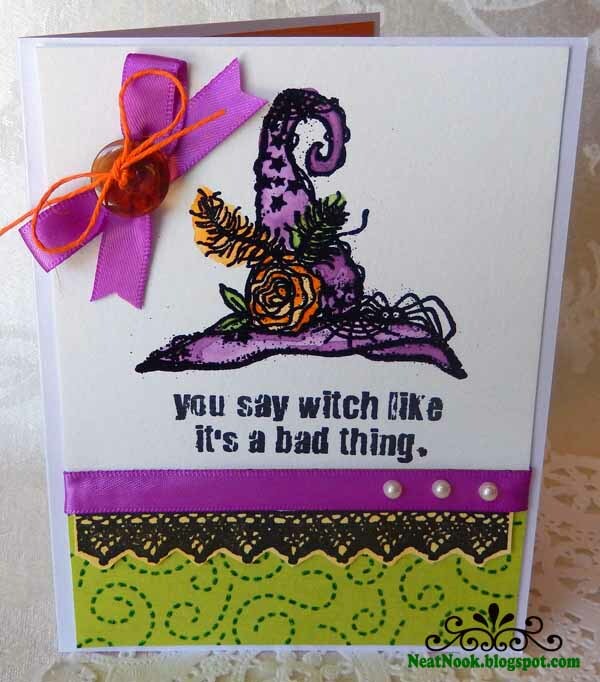 From Unity Stamp Co Mix-Up of Cuteness, Straight Laced and You Witch! Thanks for visiting. Have a wonderful day. I am gearing up for Halloween and have been busy with treats and favor projects. And this is Friday the 13th. 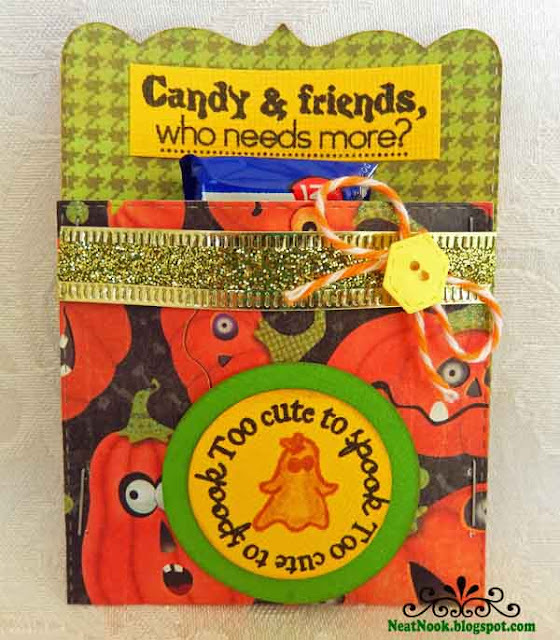 For today, I am sharing a Halloween tag that is used with a bag of candy. My daughter gets this as part of the care package sent to her at college this week. 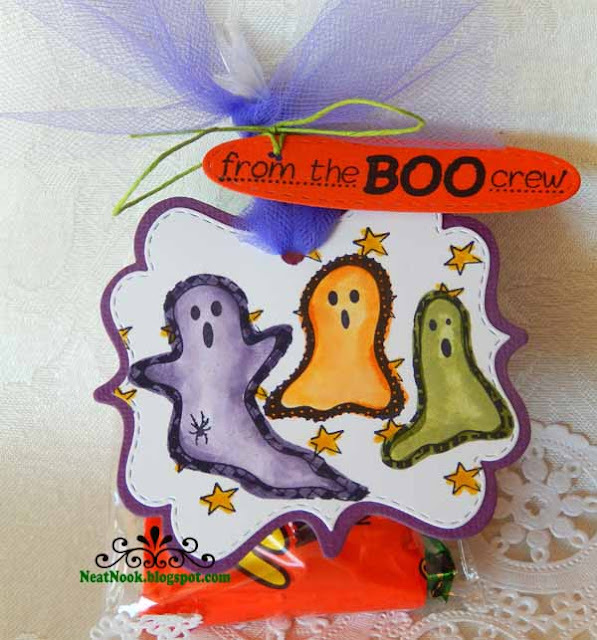 This includes the cutest little ghosts in purple orange and green. This is a watercolor design paired with die cuts. It is filled with fun Unity Stamps and is included in their Friends With Flair projects. Tools used include: Unity Stamp Company 3 Boo's stamps, My Creative Time dies. I hope you will comment and follow my blog while you are here. Have a great day. Here is a set of Halloween themed favor containers. I made them to be more cute than spooky for the trick-or-treat kids, the mail man and my "not so little" kids. When I make crafty projects like this, I make extra for the people who ask me "Where can I find these?" or "Can you make me some?" These were inspired by Miss Cheryl's Designer Color Challenge at My Creative Time. I used most of the colors but substituted black for brown, since my project was for Halloween. My favorite part of this is the cute little ghost and coordinating sentiments. They fit perfectly on these little pocket treat wraps. From My Creative Time, Stitched Button Dies, All Around Halloween, Treats for my Sweet and 3 x 3 Fancy Tri-Fold Card Die. I look forward to your comments and hope you will follow my crafty blog while you are here.